An elegant 9ct white gold diamond crossover ring. An ideal gift to celebrate an anniversary or just because you love her. 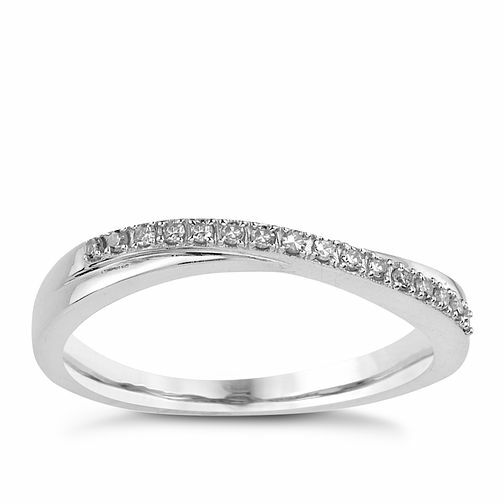 9ct White Gold Diamond Crossover Ring is rated 4.5 out of 5 by 4. Rated 4 out of 5 by Anonymous from Attractive ring and good value My only let down was not having the right size in stock, but it was a last minute decision to buy. Store staff couldn’t have been more helpful and will definitely look here first in the future.